Since the dawn of modern dance music, Europeans in the trade have referenced Chicago as a central influence, like a debt of gratitude that must be paid, given the city’s history as the birthplace of house. 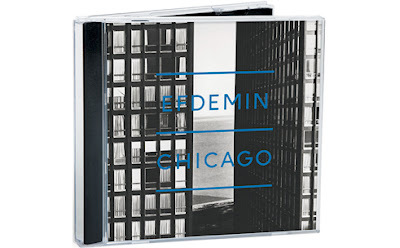 Berlin’s Efdemin is one such artist; he’s gone out of his way to honor the Windy City on his sophomore effort. But Phillip Sollmann’s Efdemin project is paying respects to more than just Chicago’s house greats. An exacting sound architect, Sollmann’s also influenced by its master builders, be it Mies van der Rohe and his modernist lines —evidenced by the cover shot of his LSD apartments—or Fazlur Khan and his towering skyscrapers. Sollmann’s beauty lies in his subtlety. A graduate of the Institute of Computer Music in Vienna, he writes compositions that exude as much classical sophistication as they do deep techno murmur. With the exception of “There Will Be Singing,” which stomps harder than its fellow album cuts, Chicago is almost a listen better appreciated as a whole—much as the John Hancock Center is best appreciated when gazed upon from street level and not while on its 52nd floor. That’s not to discount those nuanced moments in the middle. A closer listen reveals ethereal embellishments bubbling up from the seemingly sheer planes of Sollmann’s tracks. The hypnotizing slow-burner “Night Train” cruises at such a pace that you can picture buildings whizzing past the windows of a Brown Line train as you travel north. The syncopated drum fills on “Shoeshine” could even recall the bucket-drumming street kids playing for change on Michigan Avenue. Jazzy and introspective, “Oh My God” reenvisions the faces in Millennium Park, winking and spitting water to the beat as the laughter of the children splashing nearby makes up the melody. Whether he’s drawing from Larry Heard or Ludwig Mies van der Rohe, Sollmann’s latest flows with wind from the city, and Chicagoans should be flattered by his articulate reverence for their town.